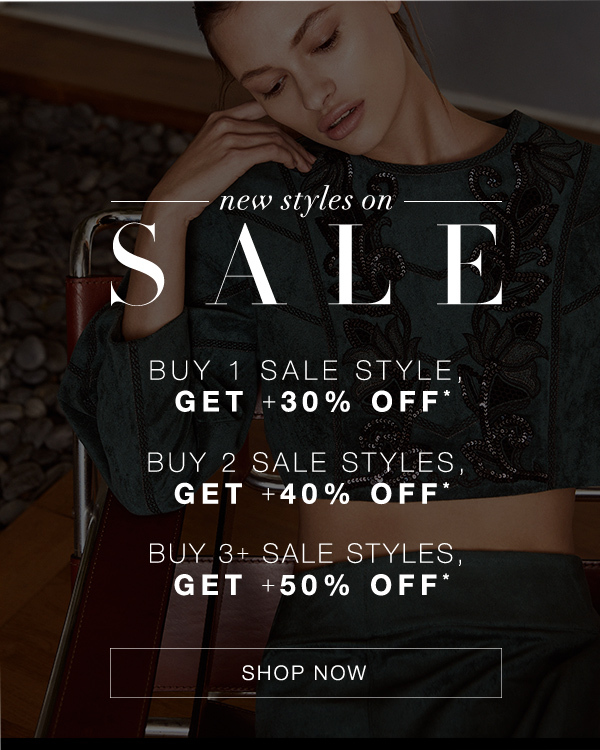 *Offer valid online at https://www.bcbg.com/en/sale/ and in select BCBGMAXAZRIA locations through 11:59 P.M. PT on January 16, 2019. Buy 1 qualifying item, receive an additional 30% off; buy 2 qualifying items, receive an additional 40% off; or buy 3 or more qualifying items, receive an additional 50% off. Valid on orders shipping within the U.S., Canada and select countries. 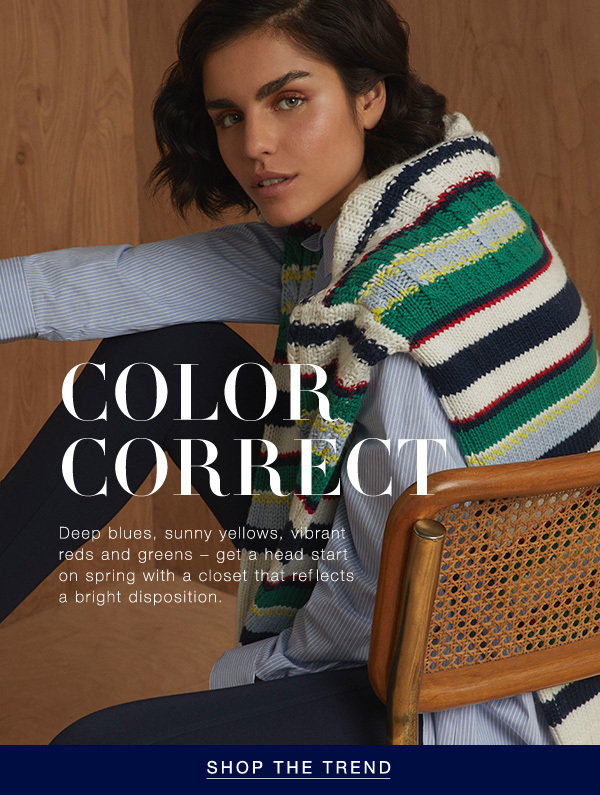 Offer excludes gift cards, BCBGMAXAZRIA Factory locations and clearance merchandise, both online and in stores. Discount taken at checkout. Taxes, shipping and handling fees are excluded from any discount. Cannot be combined with some coupons and offers. All items marked "final sale" cannot be returned or exchanged. Merchandise purchased online is not returnable in stores. Additional exclusions may apply. Centric-BCBG Retail LLC and Centric-BCBG Canada Holdings ULC reserves the right to modify or cancel this promotion at any time without notice.